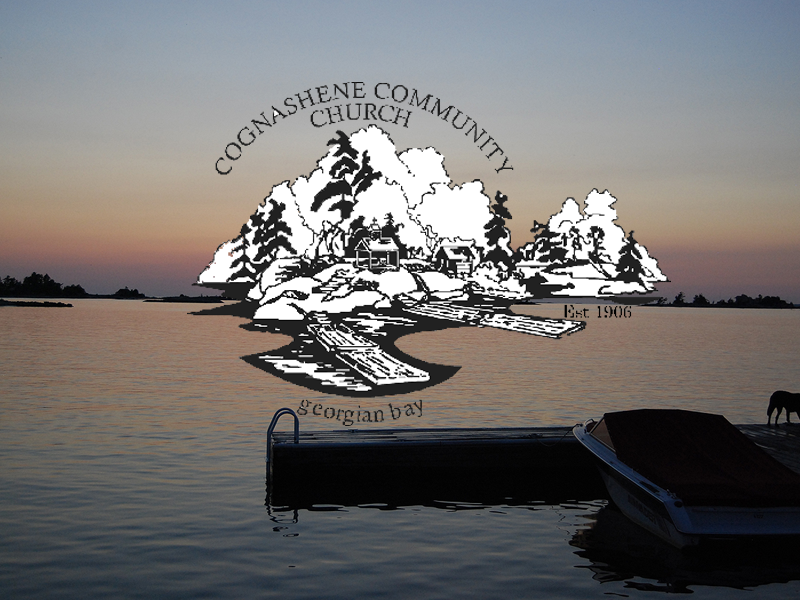 We invite you to join us in Christian worship at the Cognashene Community Church. In 2019, we will gather every Sunday from June 30th to September 1st. Services begin at 10:30 a.m. rain or shine. Everyone is welcome! The dress is Georgian Bay casual, and the ministers and setting provide a place to recharge your souls and enjoy the opportunity for fellowship with your Cognashene neighbours. Children are welcome to join us every Sunday for crafts during the service. If you have any questions or would like to become involved in the Church, please contact Caroline Coulson . 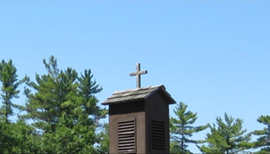 The Cognashene Community Church was established in 1906 when local cottagers began to hold Sunday worship services at various cottages through the summer season. The Church moved to its permanent location in the late 1950's when Louis and Sara Breithaupt donated the land on the Freddy Channel. More recently, an adjacent lot was acquired and developed as a memorial garden for many former cottagers. Besides worship on Sundays and the occasional weddings, the site is used for community events such as the CCA Annual Meeting, as well as the Recreation program’s Kinders crafts and boating classes. Check back in April to download a copy of the 2019 Church minister roster.